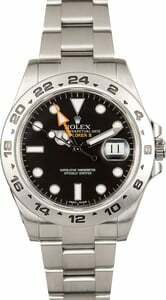 Comments: This certified pre-owned Rolex Explorer II 42mm watch comes w/ Bob's 3-day satisfaction guarantee and one year warranty. Temporary master photo. All side views are of actual watch and magnify 10x. 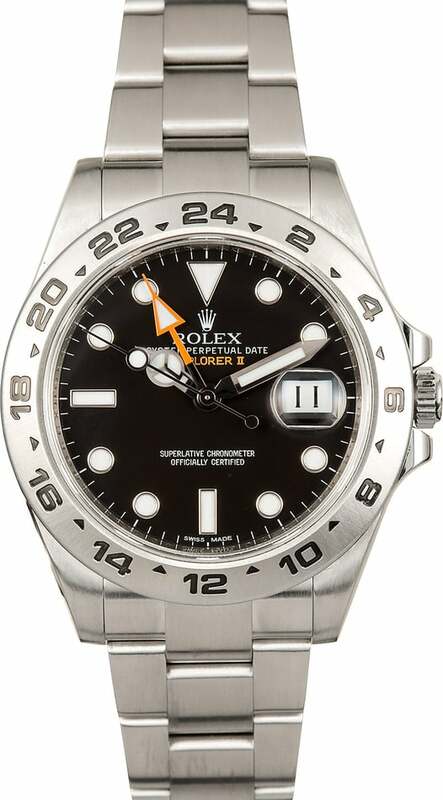 Rolex released the Explorer II in 1971 via ref. 1655. 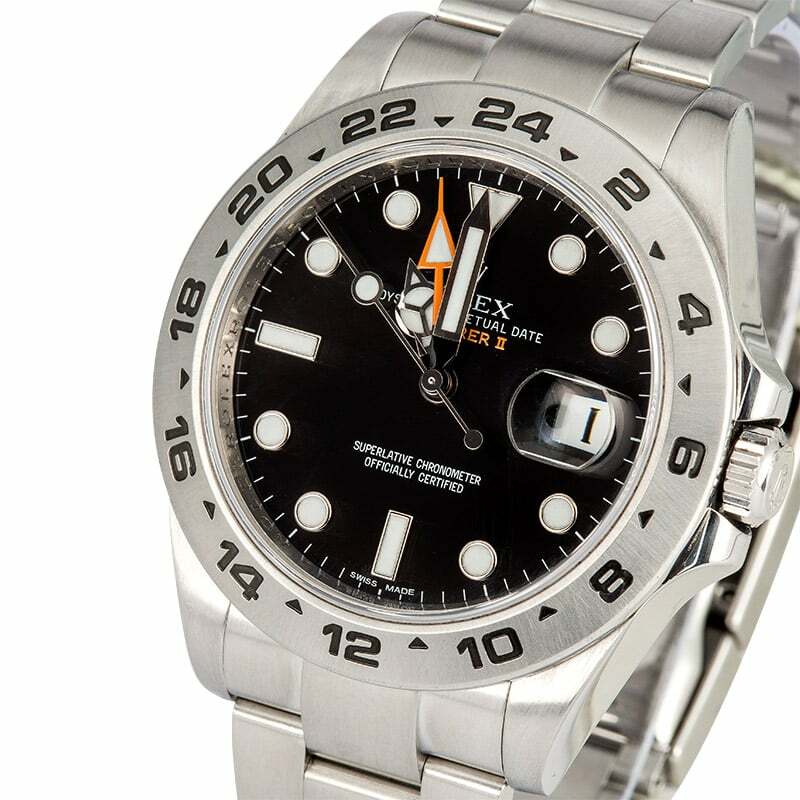 The inaugural model Showcased a stainless steel finish as well as a fixed 24-hour bezel, a black dial topped with luminous plots, and a distinctive orange arrow hand. 40 years later, in 2011, Rolex released the latest version of the "Freccione" Explorer II via ref. 216570. Its feature set combines many aspects of the original model with modern upgrades and features a 904L Oystersteel finish, a fixed 24-hour bezel, a black maxi dial topped with blue Chromalight lume, a larger 42mm Oyster case, and a new caliber 3187 automatic movement. The orange hand was also brought back for the release of the 40th anniversary Explorer II and adds a sporty and nostalgic aesthetic to dial.